Fidelity Printers and Refiners (FPR) has so far extended loans to over 300 small-scale artisanal miners across the country, under the Gold Development Fund as uptake of the facility is increasing on rising awareness. The facility was launched by the Reserve Bank of Zimbabwe (RBZ) as part of initiatives to capacitate small scale miners and boost gold production.Responding to questions at the Zimbabwe Miners Federation meeting yesterday, FPR operations manager Mr David Mpofu said there has been an increase in demand for the facility by gold producers. As a result, the facility has also been increased from the initial $20 million to $80 million on the growing demand. “Over 300 artisanal miners have been given loans under the fund. 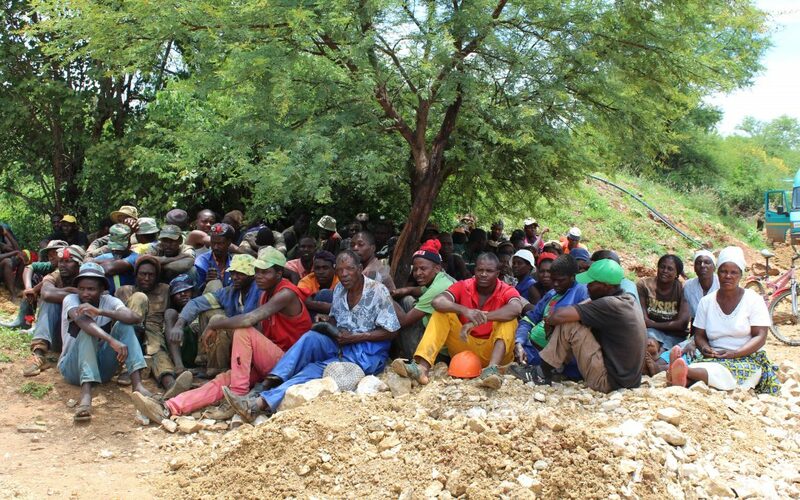 The fund has been growing gradually because more gold producers have been coming forward in need of the fund,” said Mr Mpofu, adding more artisanal miners were expected to come forward.FPR, Mr Mpofu said, had carried out awareness programmes across the country to educate artisanal miners on the available facility and how they can access it. Artisanal gold producers have become the country’s top producers of the yellow metal. Last year, they accounted for 53 percent of gold delivered to FPR.Despite their immense contribution to national gold output, most artisanal miners still face a host of challenges mainly equipment with some still using rudimental methods while others lack basic accounting skills. The Gold Development Fund is expected to capacitate the miners with modest equipment to boost productivity and graduate from artisanal to large mining corporations. “This is a partnership that should benefit miners as well as the entire economy and through this partnership, miners should not remain artisanal. Their business management skills and documentation must also improve so that when the Zimbabwe Revenue Authority or police comes, they are prepared,” said Mr Mpofu. In light of the need to boost the sector’s contribution to the economy through increased gold productivity, the Scientific and Industrial Research Development Centre (SIRDIC), Zimbabwe Economic Policy and Research Unit (Zeparu), University of Zimbabwe’s department of geology and Zimbabwe School of Mines (ZSM) have expressed their readiness to increase artisanal miner’s capacity through training, research and advisory services. The initiatives are expected to enhance efficiency. SIRDIC principal research scientist Noah Nyemba, said they were prepared to work with the sector in identifying the challenges the sector face and come up with technological innovations that are suitable for the artisanal miners especially in gold beneficiation. “We want to interact with SME miners and research with them on their problems so that we come up with proper technologies that are required for the sector especially with regards to gold beneficiation. “We need technologies that enhance efficiency and productivity as well as affordable for them,” he said. In addition to this, the UZ’s department of geology and the ZSM also have training programmes for small scale miners to enhance sustainable production while increasing output. ZSM board member Dr Maideyi Meck, said in 2017 alone, they had a group of six miners from the southern region for training, while the school also trained miners in Kadoma. writeaessay - write a essay for me http://dekrtyuijg.com/ You have made the point.